I am writing this post from a hotel in Tupelo, MS. I am halfway through a solo 15 hr trek from Owasso, OK to Greenville, SC. Stage One - I was fearless. The fearlessness lasted almost all day. I was zipping down the road munching on my car food and enjoying my treasure chest of podcasts. Stage Two – I was irrational. It was 6:30pm, it was dark and my gas tank was near empty I drove past two “scary” gas stations before choosing one that didn’t look “scary”. I considered driving to the hotel on fumes to avoid stopping at a scary gas station in the dark. My angst multiplied as I continued to dwell on all the scary things that could happen to me when I got out of the car. Stage Three – I became rational. Really now... Is it riskier to fill up with gas at 6:30pm on a dark winter day versus 6:30pm on a sunny summer day? I doubt it. The same folks frequent the gas station at 6:30 whether it is daylight savings time or not. When I pulled into the gas station, I found myself surrounded by some very nice chatty gas impaired motorists - just like me. Moms with kids, people on their way home from work, silly teenagers….nothing to be fearful of. Don’t get me wrong. Listening to the voice of caution in your brain is a good thing, but sometimes we need to invite logic to the conversation. My actions were driven by the wrong fear. My great fear should have been running out of gas on a dark road – not being attacked at a well lit gas station. 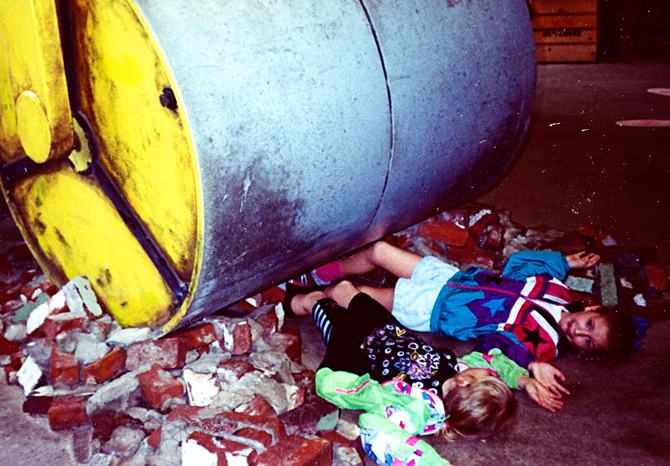 Irrational fear: Heavy machinery rarely sneaks up on our kids and runs them over. 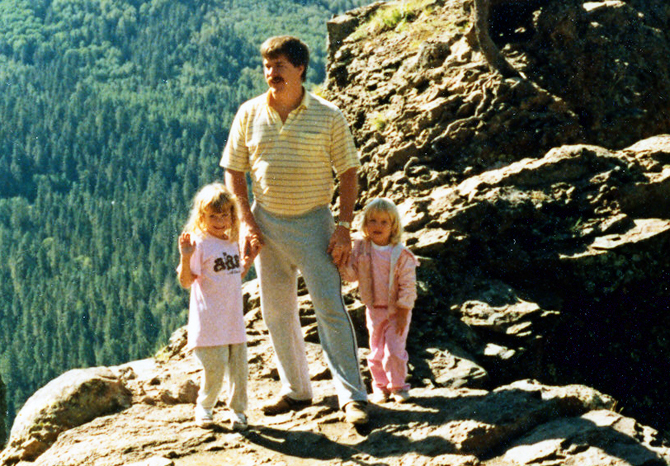 Rational fear: Children on the edge of a cliff should be holding someone’s hand. Irrational fear can keep us from the joy of living life to its fullest. Life is risky – always will be. But, it is worth the risk. The gas tank is now full and I am closer to home. More awkward phase pictures please! I like our 80's-tastic windbreaker jackets. It takes a very special man to successfully wear slightly tight sweatpants and a polo shirt. Sheri - I really enjoy solo drive time (until I have my freak out moments at the gas station). Podcasts are the greatest invention ever.